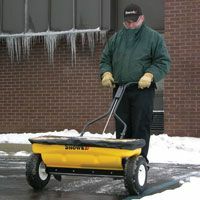 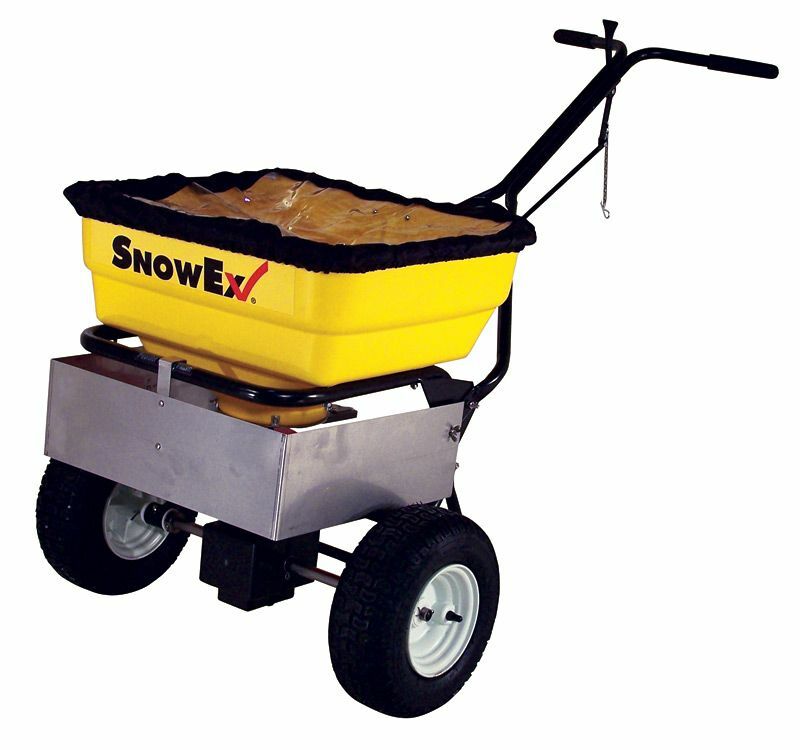 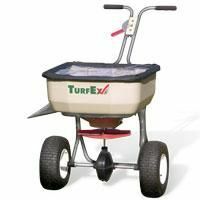 1.95 cubic foot capacity (160lbs) SnowEx SD-95 drop walk-behind spreader. 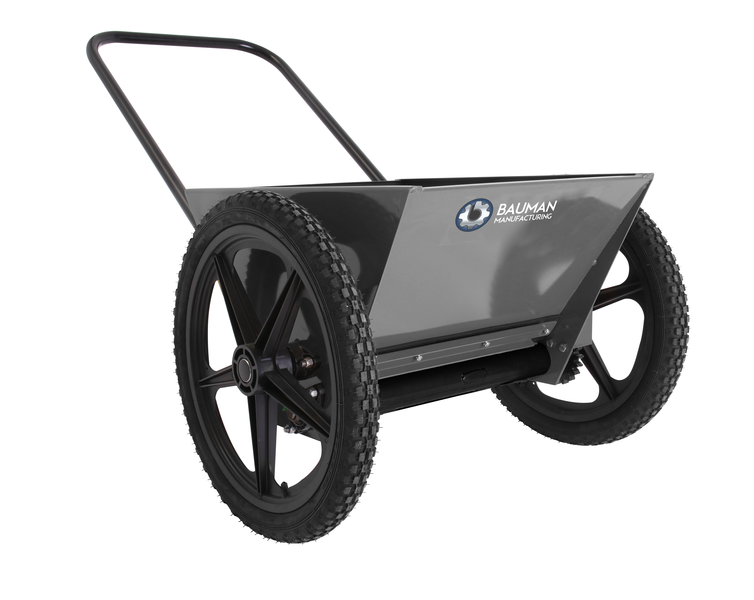 Powder-coated steel frame. 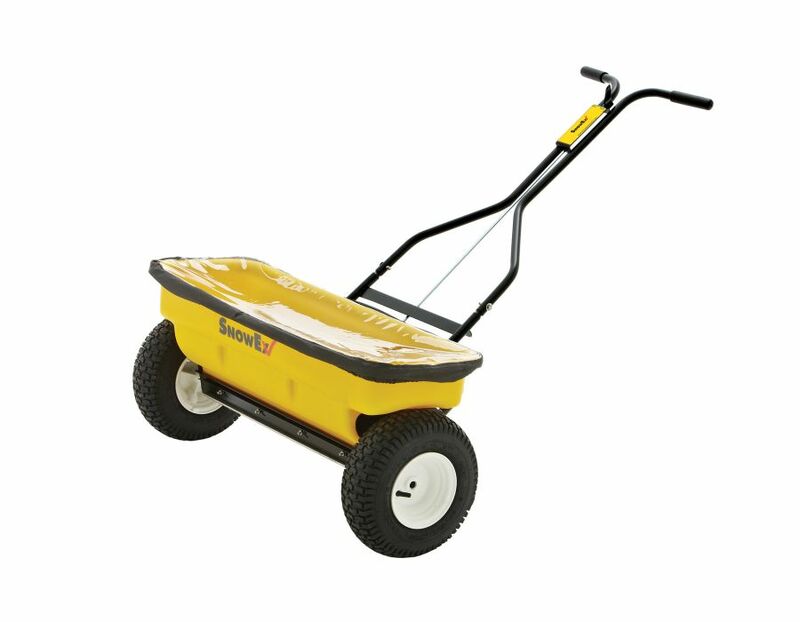 Handles Bagged rock salt and pelletized material. 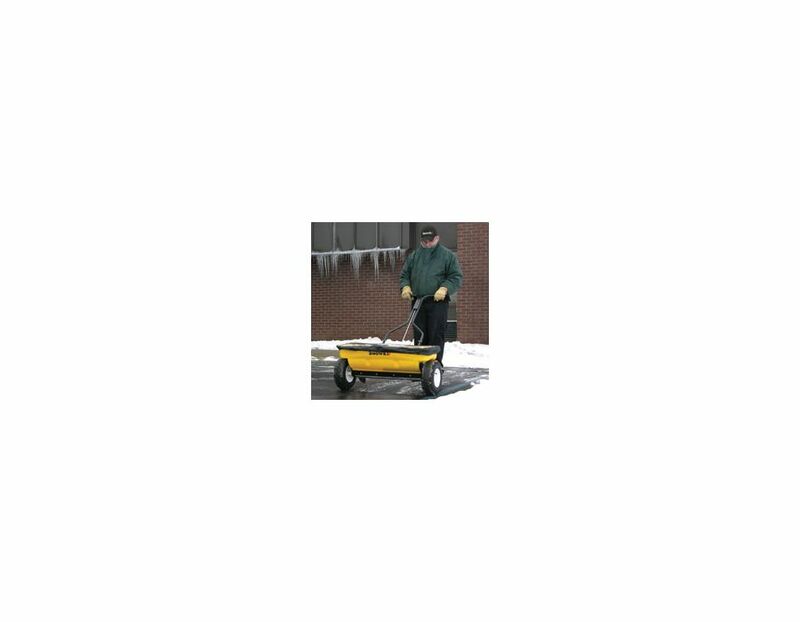 Spreading width of 28". 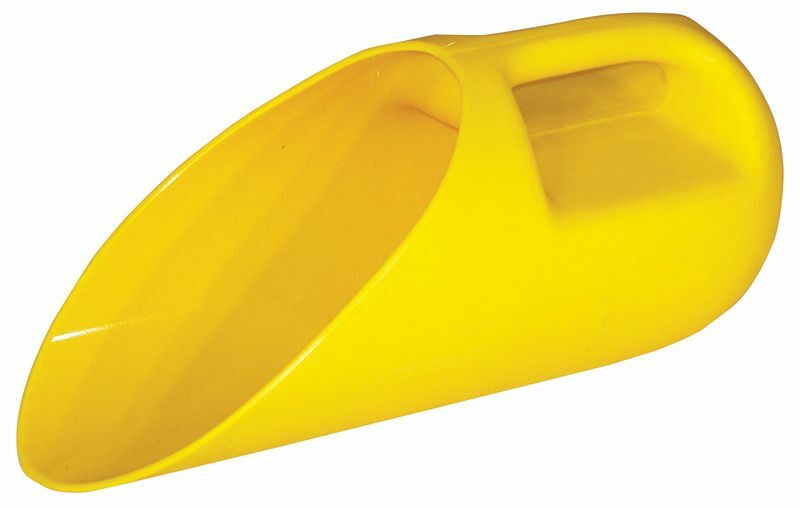 Perfect for sidewalks! 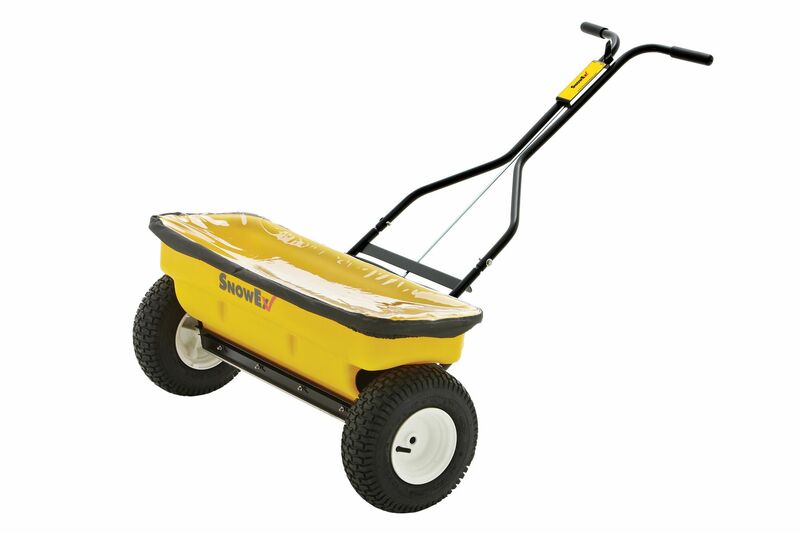 Find the SnowEx SD-95 Walk-behind Spreader at Kooy Brothers Equipment Ltd. located at 1919 Wilson Avenue in Toronto, Ontario.